Today opens the application process for post-TBEX Blogger Trips around Costa Brava. Our host destination and their partners have worked hard to put together these 21 trip, with diverse focus and opportunities, giving bloggers plenty to choose from. 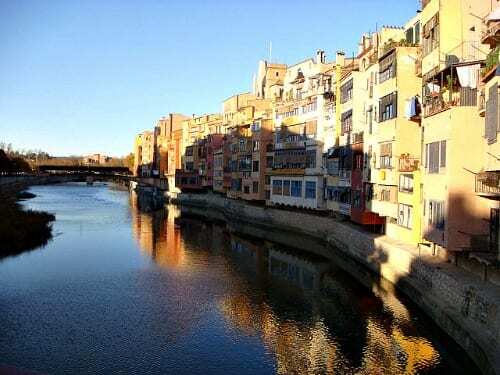 From cycling the Pyrenees to discovering the culture of Barcelona, from digging into fashion to enjoy the easy pace of the fishing village of Baix Empordà, from visiting the Monastery of Montserrat to outdoor camping experiences — you’re certain to find something that will tempt you to linger in Catalunya. You can find a full listing of all 21 blog trips, including destinations, specific activities, fitness levels, and dates here. A few important reminders about the blogger trips. You must be registered for TBEX Europe 2015 to be considered for a trip. Head over here to register (prices go up February 6th). These trips are open to bloggers and other content creators only. Sorry, no industry representatives, guests, or children permitted. EVERY blogger must submit an individual application, there are no group or couple applications. You may specify your top 3 trip choices. Please review all the trip opportunities and make your selections carefully. The link to the application form can be found on the trip description page. The deadline to apply for these blogger trips is Monday, February 16th, at midnight, Pacific Time. We will try to notify all bloggers of their selection for the trips the following week. Remember, you must be registered to be eligible to participate in a blogger trip. With as many fabulous cities as there are in Europe, why in the world would you keep going to the same area over and over and over? Don’t get me wrong, I love Spain. I’m here now. But jeez. 3 travel blogging conferences in pretty much the same place is just silly. I’m sorry Mandy, this will be our second trip to Costa Brava. We were there last three years ago and there were only 330 attendees. Our last TBEX Europe event had more than 800 attendees. So most of our community has not been there. I explained why we were going back to Costa Brava / Catalunya in our closing keynote in Athens. but in short, we love the place and the tourist board! We think they are one of if not the best in the world when it comes to working with bloggers. Second they were the first city to host us since NMX got involved with TBEX and they asked us to come back in a future year after we had grown the event. Based on our first experience we believe we owed them and our community an encore. We have completely new experiences, day trips and fam trips for our attendees and of course new sessions. I can’t speak for any other related event in the area. I didn’t know there was one. I’m happy that TBEX is returning since I didn’t attend the first time. I’m sure there are a lot of people who feel that way as well. And if it follows the amazing time I had in Athens, it’ll probably be even better than the first visit. I cannot seem to find the link where I submit my to top 3 trip choices. You figured it out before I did… Where do we submit our choices? The link is in the last bullet point in the blog post. The link to the application is on the trip description page,. Can someone tell me if these trips include sharing a room or do you get your own? I’m more used to writing print – we get our own rooms on fams, but it might be different in the blogging world. Generally speaking, single rooms, unless participants request a shared one. Super. Thanks, Mary Jo. #NotaPrincessJustaNeuroticInsomniac. Wow, what an amazing assortment of trips! I’m going to have to do some research to narrow it down to three top picks from all of the tantalizing choices. Kudos to the team in Catalunya for coming up with them. It looks like a great opportunity, but “unfortunately” I’m in Indonesia and I still stay here for few months to come. I’m sure other bloggers will enjoy these free tours! If you are still there in October come join us in Thailand David! Such amazing tours! Almost all of them are great, but I have some favourites. And 1 absolute dreamtrip! I’ll apply for it next week! Oh wow! Really looks exciting..and the trips too!.Not sure I can make it to Spain, looking to head elsewhere at the same time…will definitely come to TBEX Asia later on in October! Oh no! It’s too late for registering 🙁 Is there any way to still book a spot on one of the trips though? Once we get the initial invitation sent and trips filled, we will we post any remaining available trips for a second round of applications.